Two teenagers meet for the first time on a street in a Leeds estate, one is covered in blood. Michelle is cool and streetwise, she has just moved there. Jenny is shy and lonely, she’s the target of school bullies. At first it seems like they have nothing in common. But their mutual isolation draws them together. Chocolate Bounty is a funny and moving play about friendship, families and teenage survival. You know that I am the only black girl in the whole school? They call me Chocolate Bounty. Chocolate Bounty was part of Write Now 2, and was directed by Kate Bannister. Jack’s shaving his head. He can’t explain why. Becky left him behind and has now returned to find his home town swallowing him up. Theresa’s a survivor, she’s not feeling herself. Ted thinks he’s the only one who can help. This is a small town, and everyone’s business is your business. Skinhead is about the way we live and the way we let go. I thought they could fix me, I thought they would make it better. But I’m never going to be the same again. Skinhead was part of Write Now 3, and was directed by Lydia Parker. Jessica Brown was born in South London and grew up in Leeds. She studied Film and Literature at the University of Warwick. She is a graduate of the Royal Court Young Writers Programme 2010. For Radio 4, she was part of the Original British Dramatists Season with her afternoon drama Lost or Stolen, described as an ‘absorbing romantic drama’ by The Observer and selected as the Radio Pick of the Day. For theatre, she has twice won the New Writing Award at the Brockley Jack Studio with her plays Skinhead (2012) and Chocolate Bounty (2011). Further credits include, Silly Girls (2012) at the Southwark Playhouse. 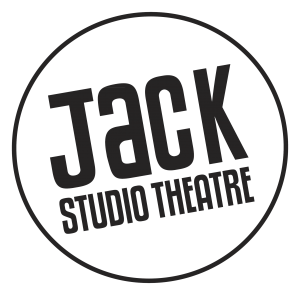 Currently Jessica is part of the Orange Tree Theatre’s Writers Collective. For TV Jessica was selected for the EastEnders shadow-writing scheme in 2013 and the CBBC New Voices Initiative workshop in 2015. She currently works as an Assistant Producer at BBC Radio Drama in London. Read an extract from Chocolate Bounty here and Skinhead here. All rights reserved and the extract is copyrighted.